Check out the year in review in this quick summary or watch the 2 minute video. The death penalty is on its way out. Delaware had no executions in 2013! 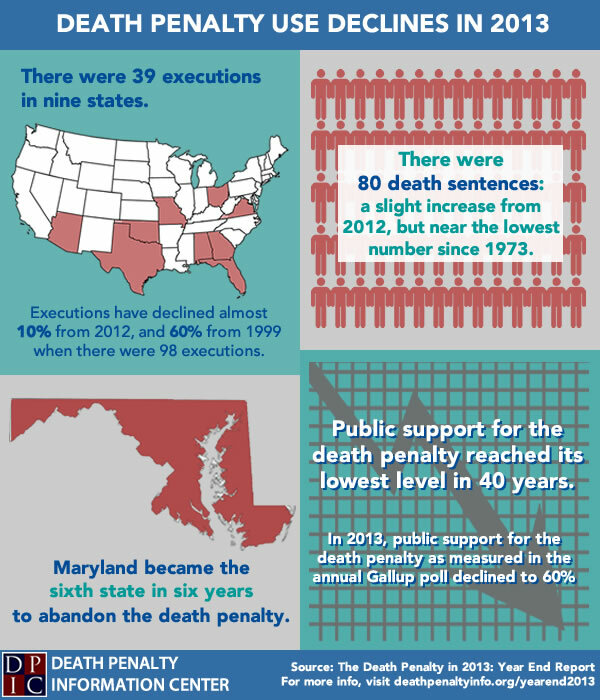 However, we still have much work to do to repeal the death penalty in Delaware! Due to the current weather conditions and the expectation that another 3-5 inches of snow will fall on Tuesday, we are cancelling the DCODP Annual Meeting. The meeting had been scheduled for 12/10/13 at 7:00pm in Middletown, DE. We will try to reschedule soon.